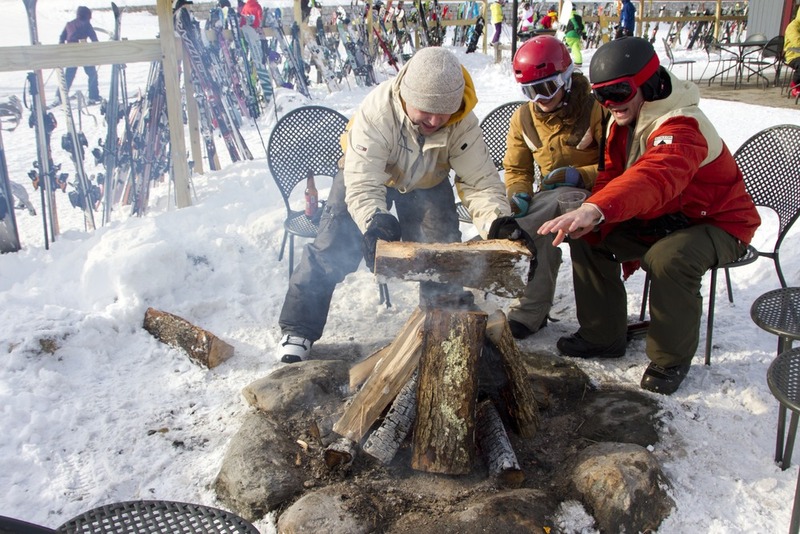 Browse through our collection of photography from Sugarbush to get acquainted with it before your ski trip or to relive great memories on the slopes at Sugarbush. Sugarbush - The Bush was as expected, ok in the morning, rough in the afternoon. After lunch you might as well changed into ice skates. Jester still the best run. 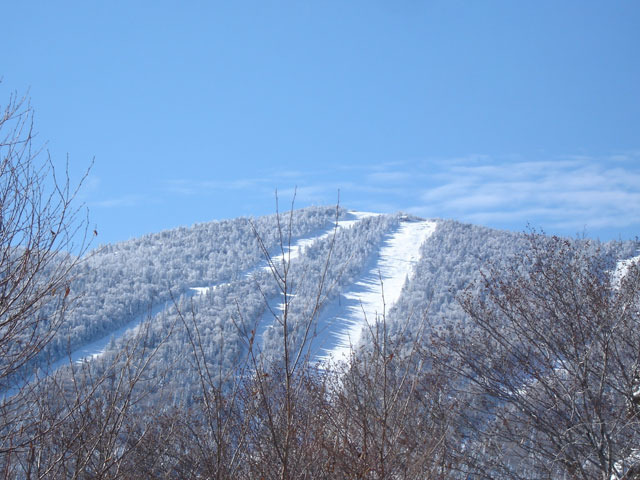 Sugarbush is setup for a sweet spring. Just a few days before Halloween, the first big snowstorm of the season dumped as much as 30" of snow in some areas of the Northeast and knocked out power for over a week. Sugarbush, Vermont's Mad River Valley was at the north edge of the snow belt and picked up only a few inches, but it was a welcome sight at sunrise. 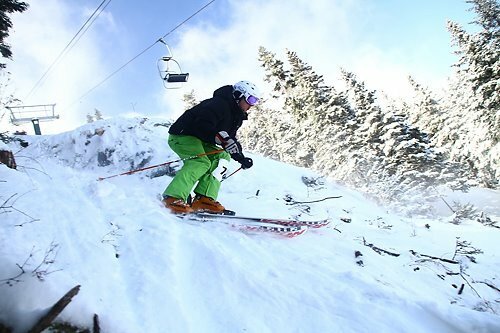 Sugarbush opened it's legendary Castle Rock area to hike/skin access late morning Saturday, offering skiers willing to put in the extra effort an extended chance at some fresh tracks. 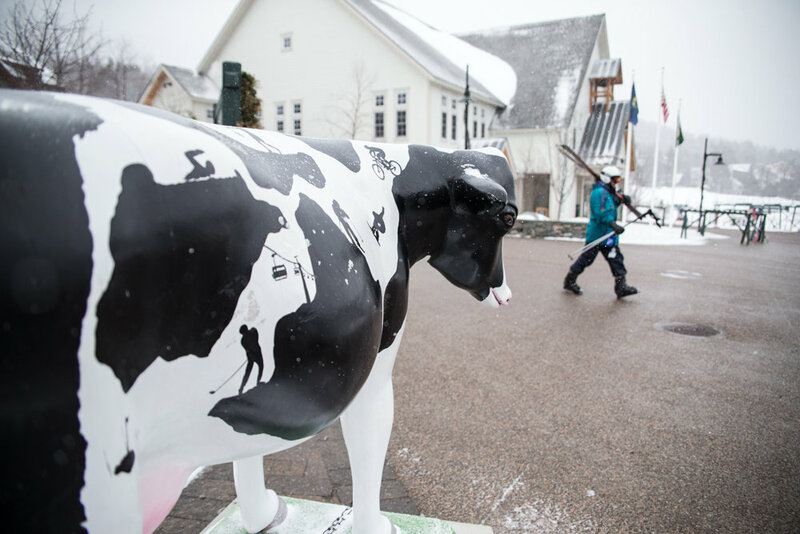 Skier mooooooving along to a great day at Sugarbush. 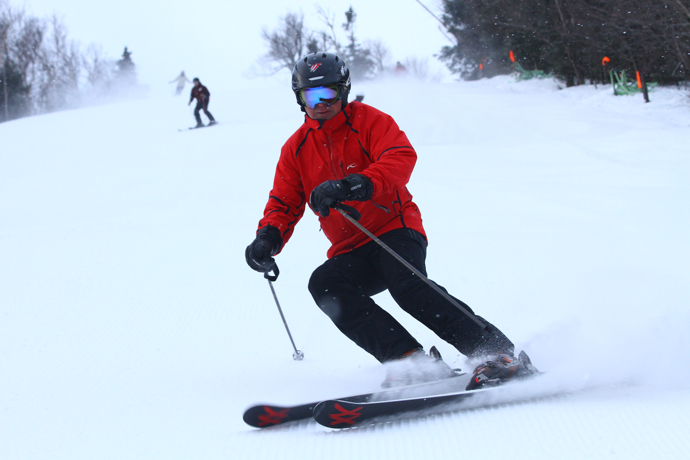 Dave Gould finding turns at Sugarbush. 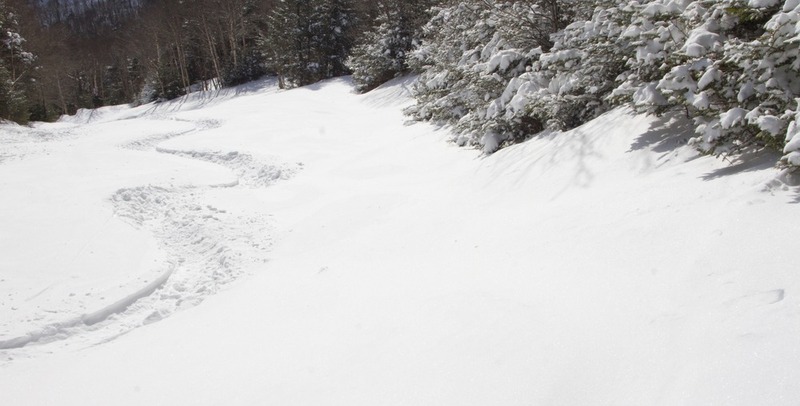 Great snow and wide open trails at Sugarbush, February 2014. 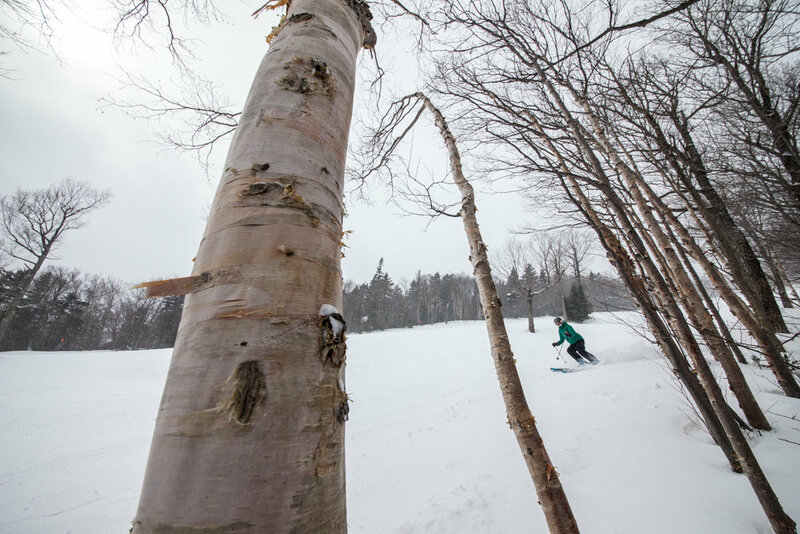 Meredith Mcfarland navigates the birch trees at Sugarbush. 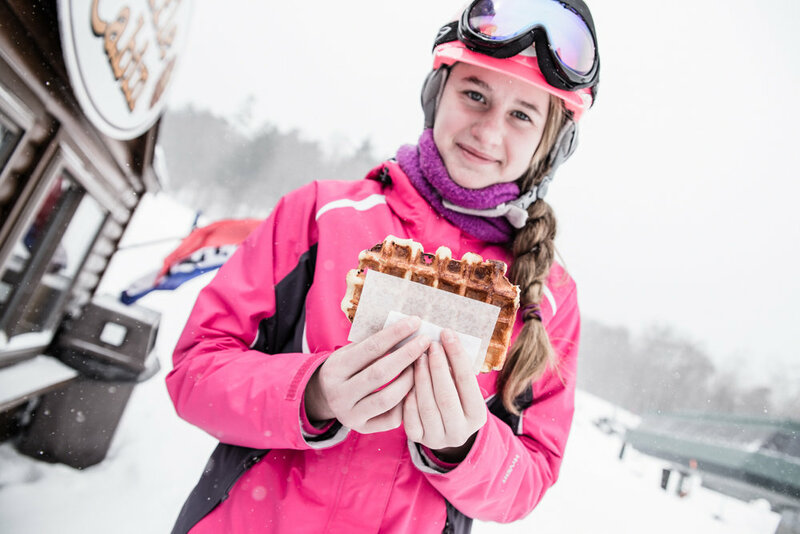 When legs get tired, the savvy skier heads to the base for waffles at Sugarbush. 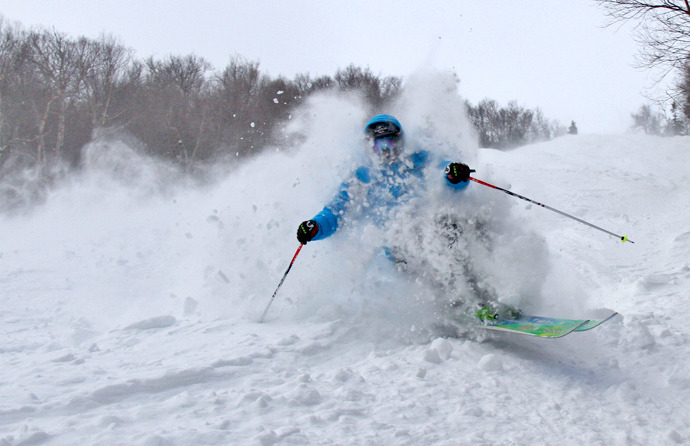 Skier Matt Buswell rips Sugarbush. 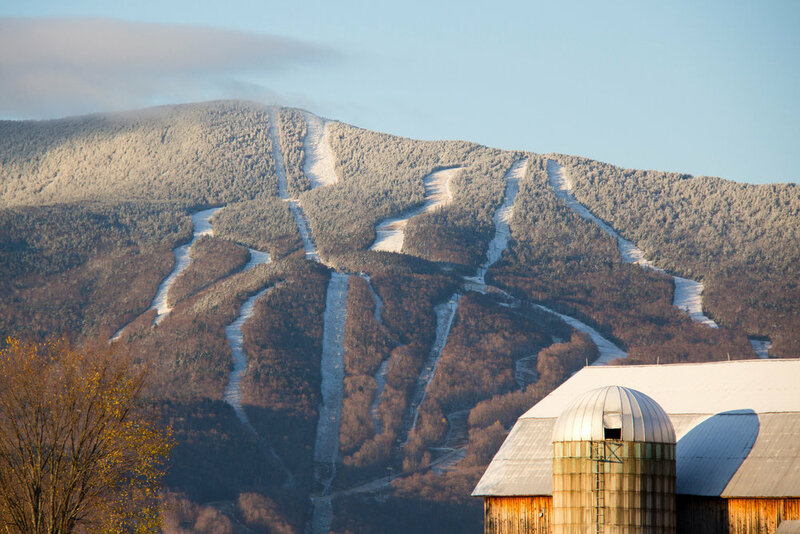 Sugarbush is very well groomed. 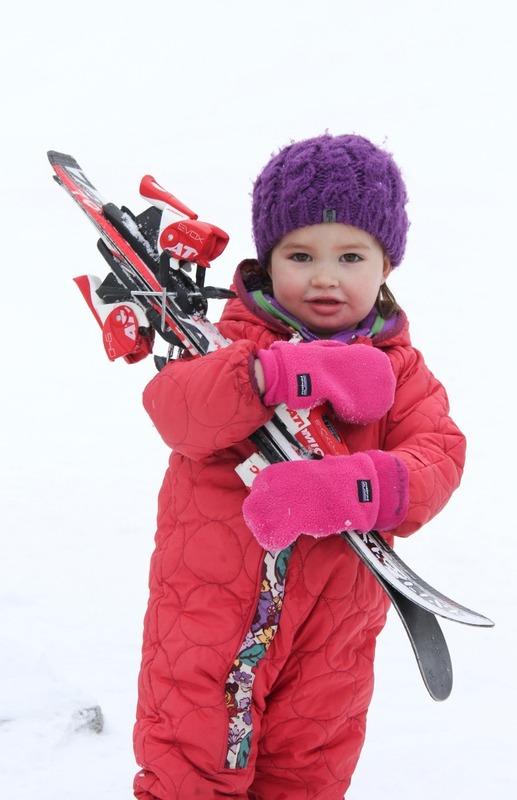 Skier Mary Simmons. 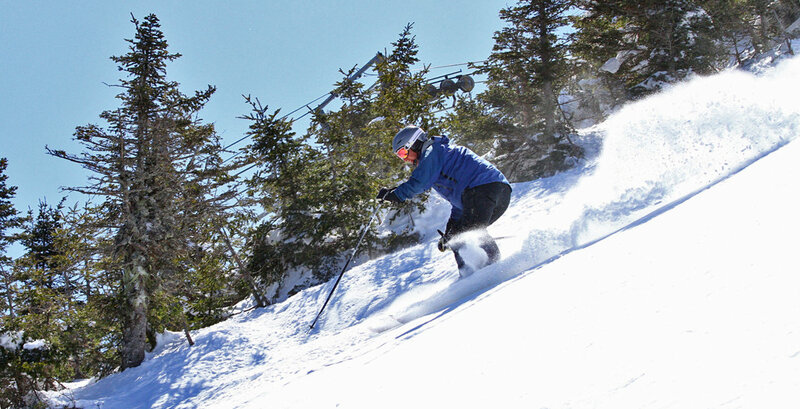 Mary Simmons storm skiing at Sugarbush. 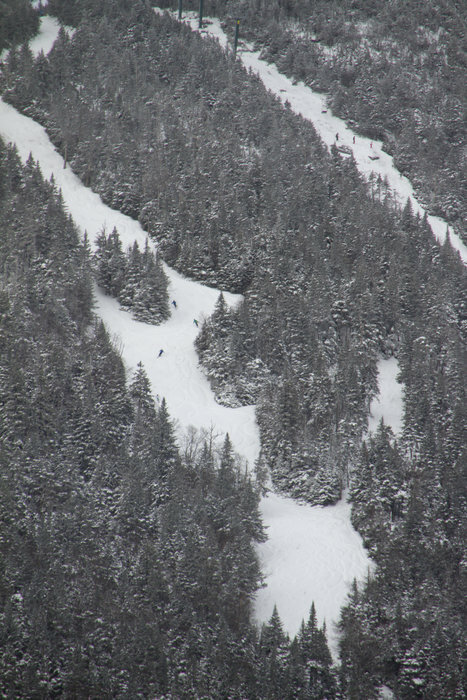 Lone skier enjoying the solitude of mid-week skiing at Sugarbush. 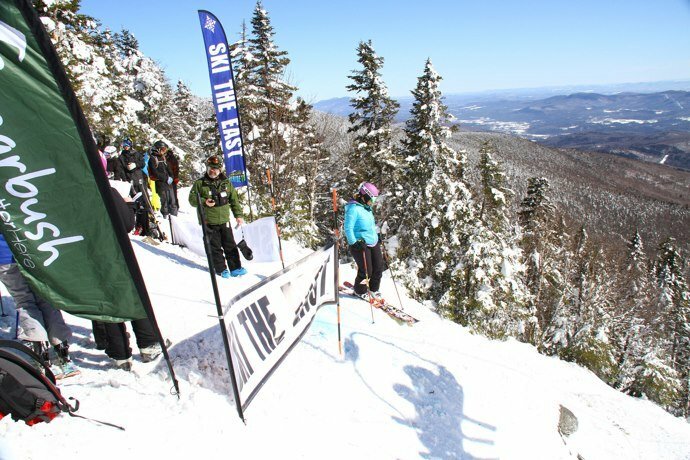 Skiers waits to drop in during the Castlerock Extreme at Sugarbush. 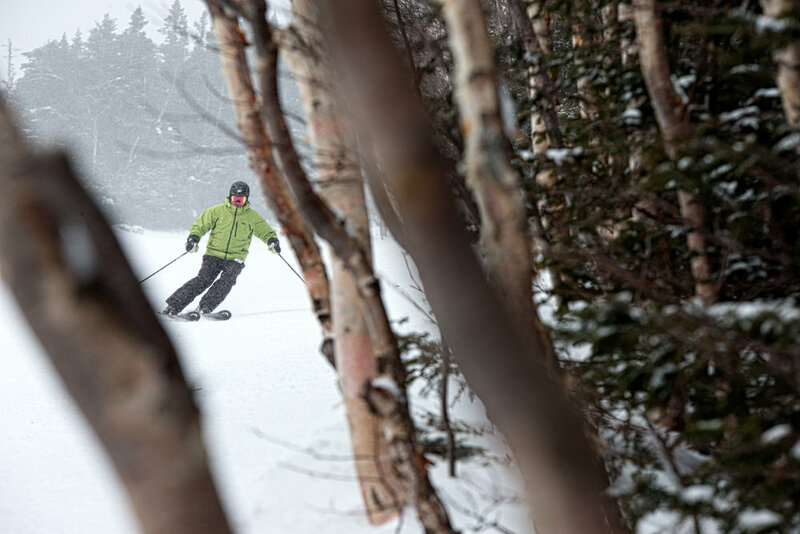 Plenty of leg-burning turns await at Sugarbush. 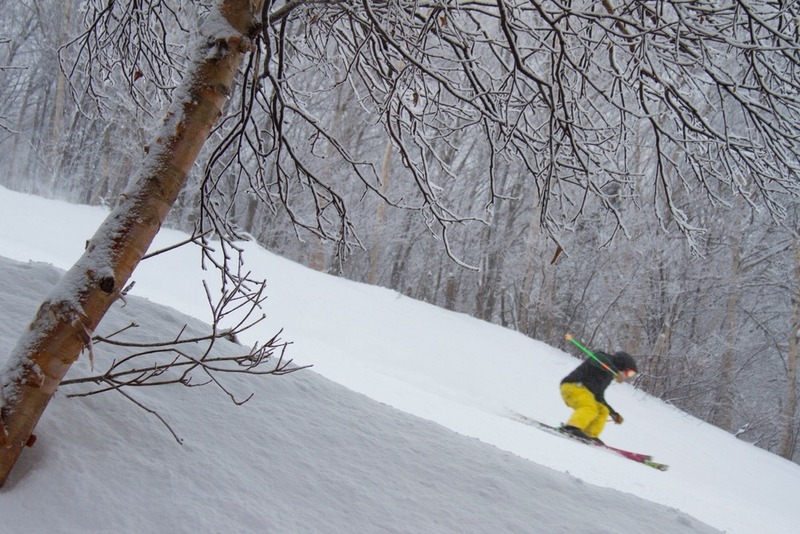 Heavy snowfall that came with the midweek storm this past week was a welcome sight at resorts like Sugarbush in Vermont. 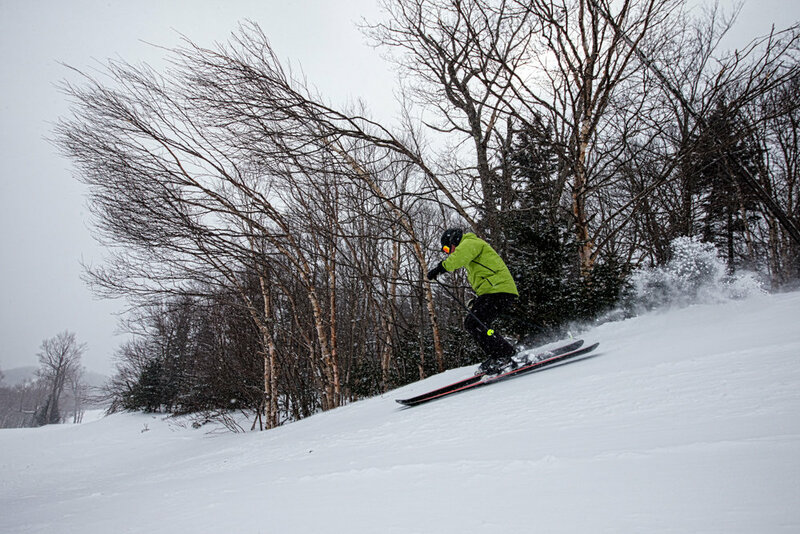 If March is as good to Sugarbush as Nemo was, the best may be yet to come. 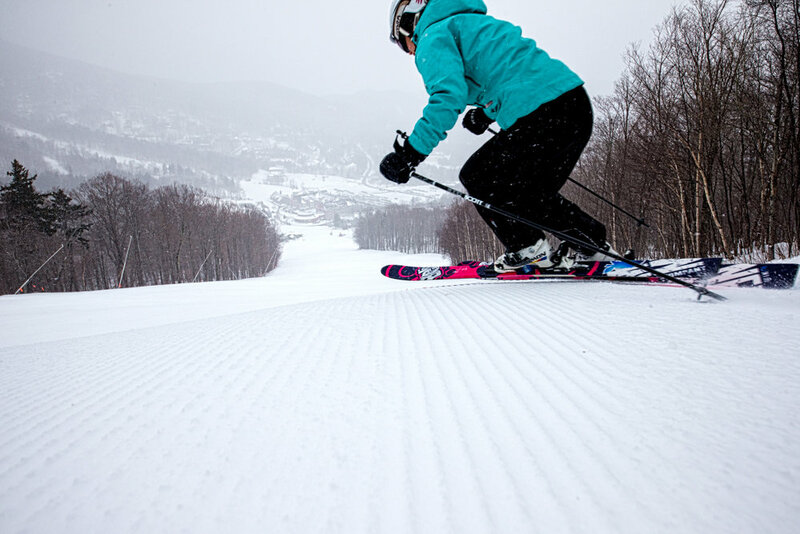 Photo Courtesy of Sugarbush Resort. 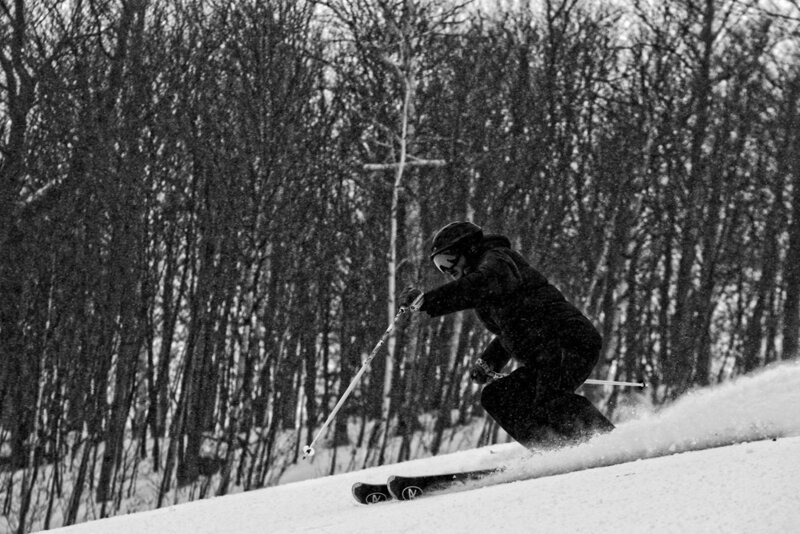 Sugarbush President and Owner Win Smith gets out regularly to test the product. 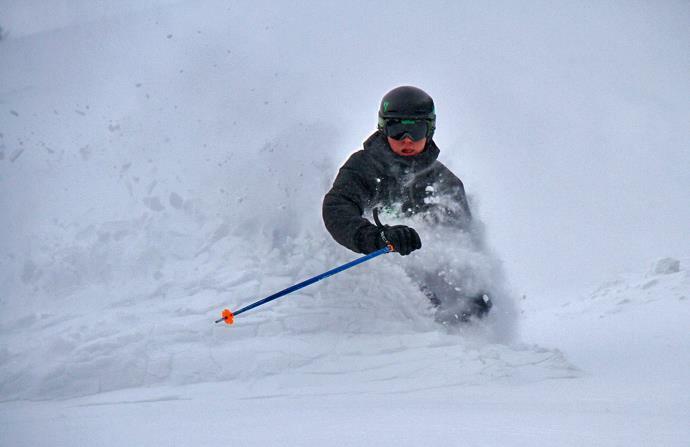 Photo Courtesy of Sugarbush Resort. 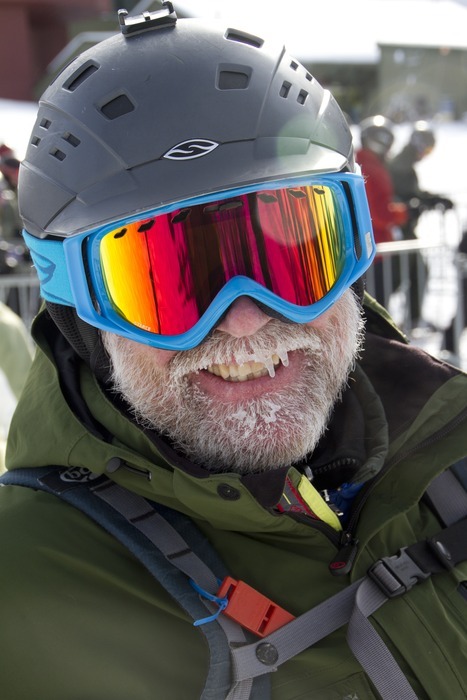 Coach Rickity is all smiles on Saturday at Sugarbush, VT.
A group of friends who made the trek up from Philadelphia through the storm late Friday, warm up by the fire after a satisfying day on the snow in Vermont's Mad River Valley. A cloudy sunrise Saturday gradually gave way to sunlit powder above Vermont's Mad River Valley. 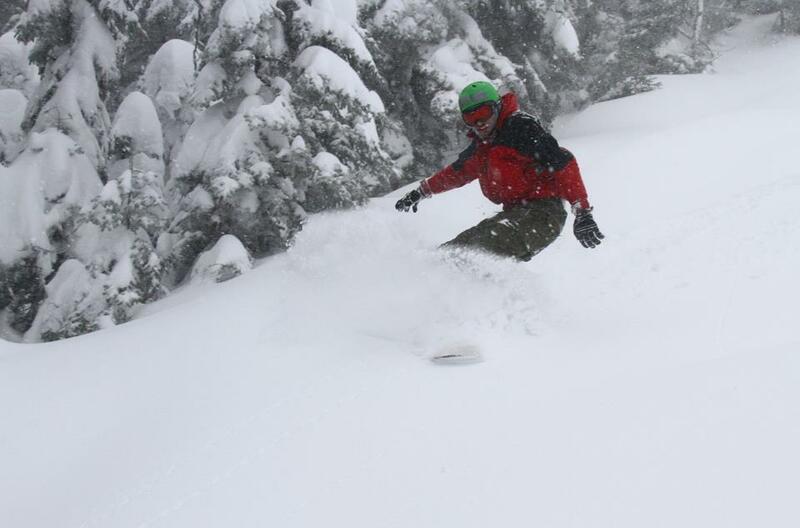 Forrest Twombly made the most of the fresh snow Friday at Sugarbush. 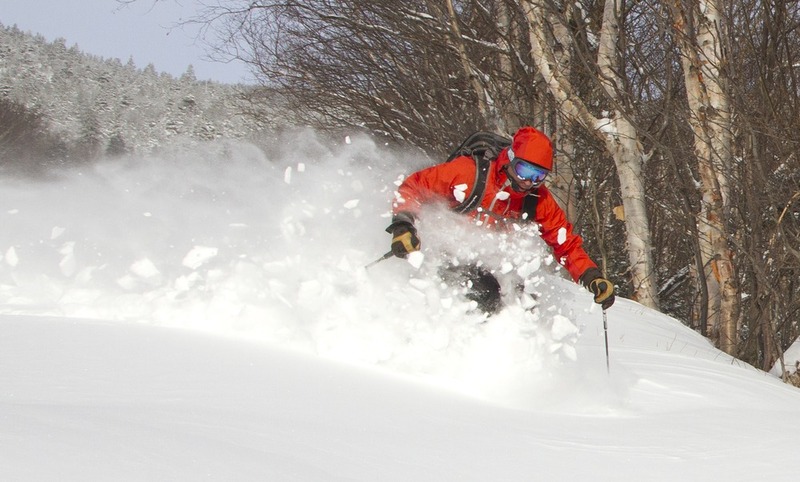 Pow days have been a familiar scene for Sugarbush skiers and riders this season. Photo Courtesy of Sugarbush. 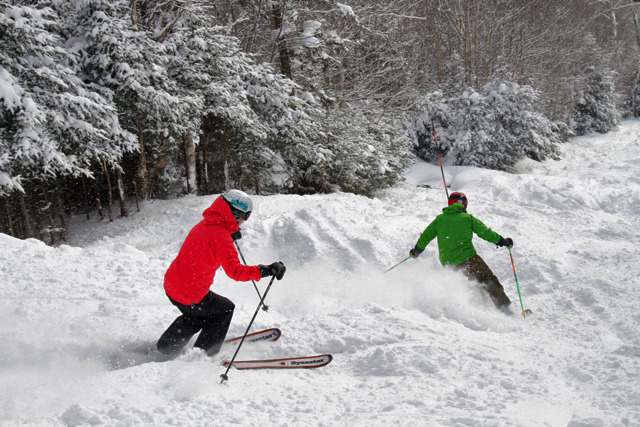 Sugarbush received over 97" of natural snow in December alone. Taken: December 25, 2012. Photo Courtesy of Sugarbush. 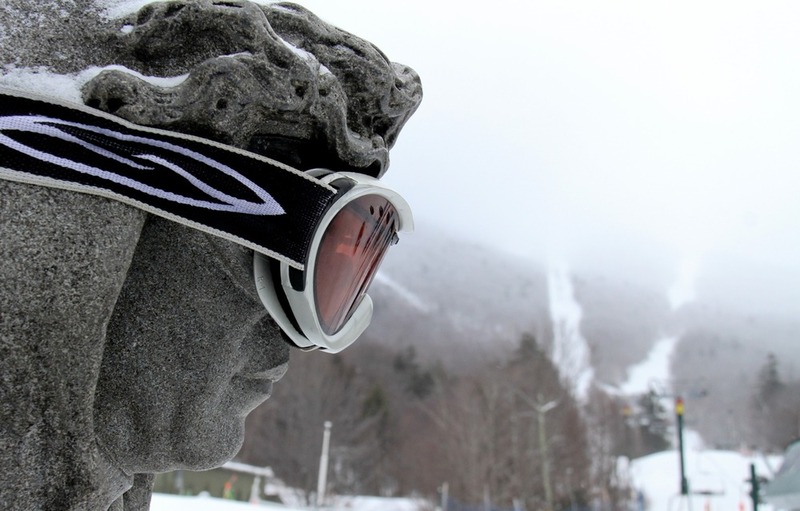 Several inches began piling up at Sugarbush on Monday, and while little, if any, snow was accumulating in the lower valleys, skiers were enjoying free refills with every run in the mountains. Terrain coated with a man-made base was skiing especially well again. And by mid-December, the Old Man was able to take charge once again. 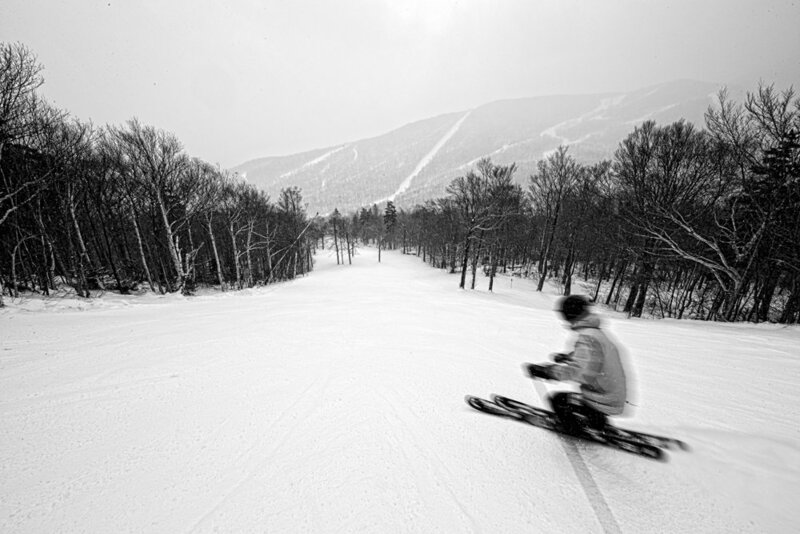 Here, he's kicking off a week long snow cycle by shrouding the higher elevations of Vermont's Sugarbush in snow. 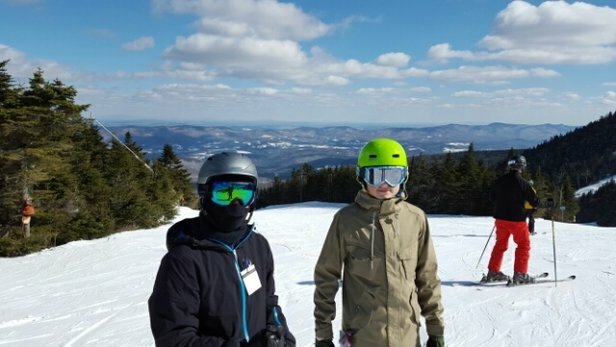 Winter weather advisories filled the airwaves Thursday, and Madison Anderson was ready for action at Sugarbush's Lincoln Peak. Jumping for joy. 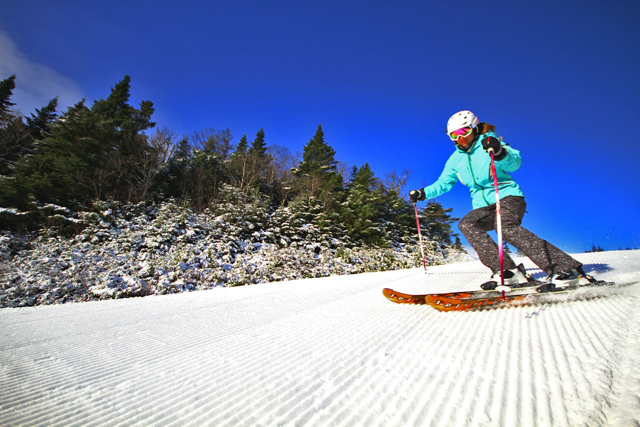 Photo Courtesy of Sugarbush Resort. 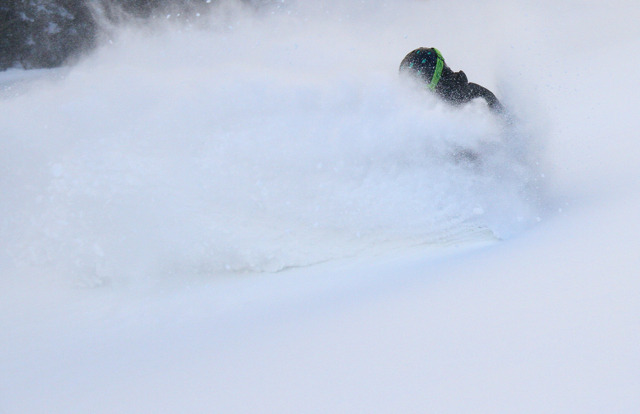 Fresh turns under bluebird skies. 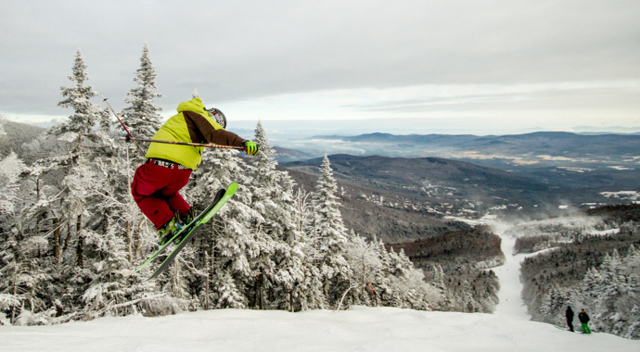 Photo Courtesy of Sugarbush Resort. 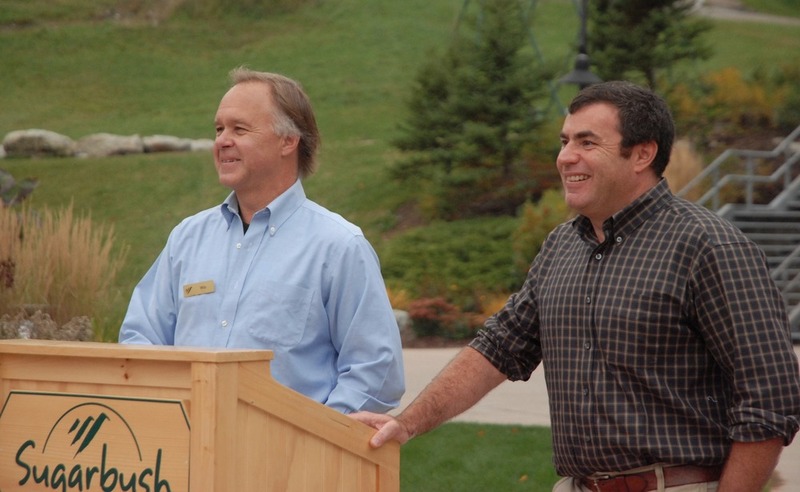 Sugarbush President Win Smith and Mad River Glen Marketing Director Eric Friedman address the press. 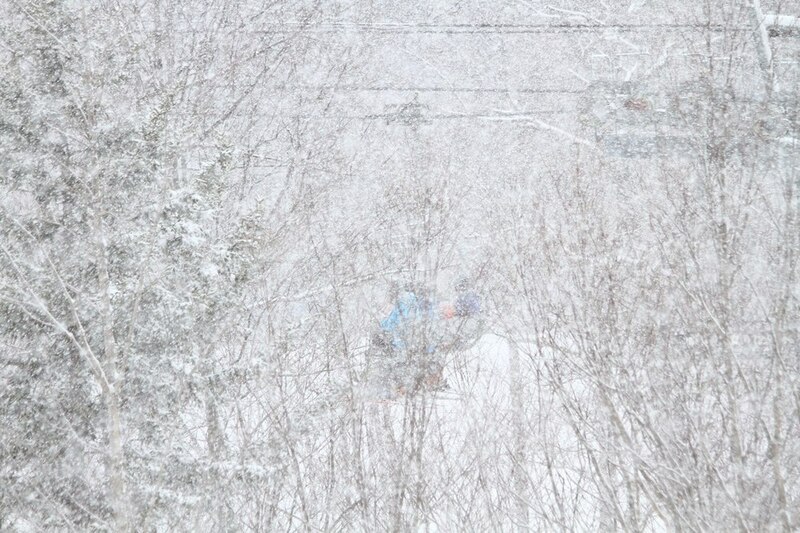 Photo Courtesy Sugarbush Resort. A view of Sugarbush Resort, Vermont. 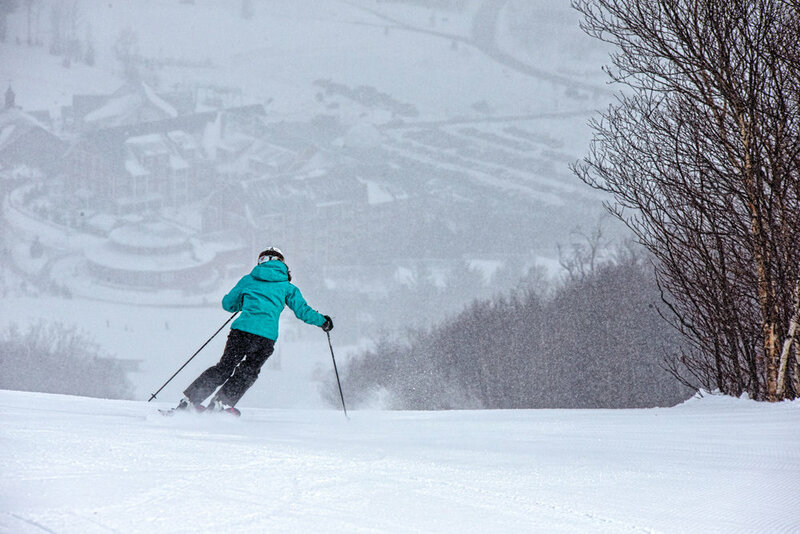 Photo Courtesy of Sugarbush Resort. 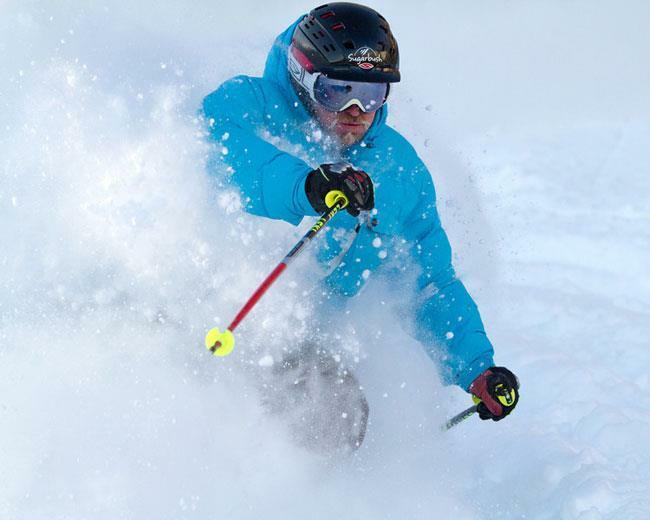 Get Snow Reports, Powder Alerts & Powder Forecasts from Sugarbush straight to your inbox!